Cities Reducing Poverty is a network of more than 330 municipalities represented by 70 regional partners who are working collaboratively to end poverty in their communities. Cities Deepening Community is a learning community dedicated to strengthening communities, neighbourhoods and citizen connections. We are working with 74 neighbourhood strategy leaders in 32 cities, 54 practitioners promoting the citizens role in emergency preparedness, and are dedicated to completing 25 local deepening community initiatives in different cities over the next 5-years. These communities support change-makers to regularly interact with and learn from their peers to end poverty in their communities and strengthen connections between citizens. Our belief is that when we are effective in strengthening community capacity to engage citizens, lead collaboratively, deepen community and reduce poverty, our work contributes to the building of peace and a more equitable society. 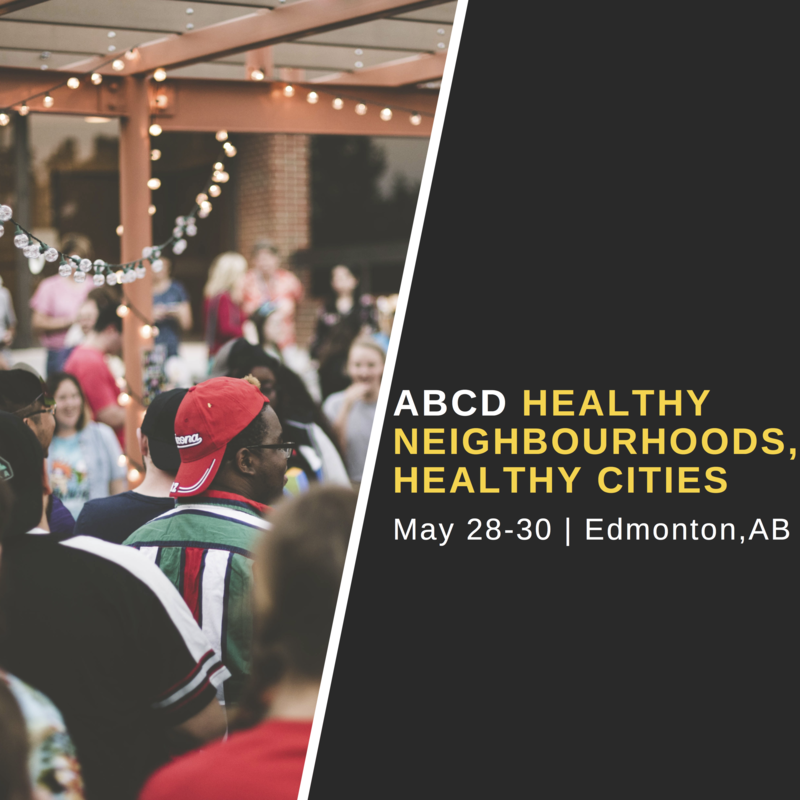 This workshop will bring together over 250 community and neighbourhood development practitioners to explore the use of Asset-Based Community Development (ABCD) and explore leading neighbourhood revitalizing techniques. We have brought together for the first time seven of the world’s top authors and practitioners in the field who will offer the opportunity for learners to earn a masters' certificate in either Asset-Based Community Development or Neighbourhood Revitalization.